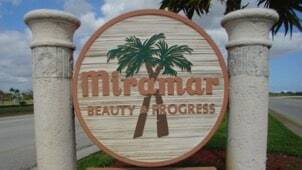 You live or work in Miramar Florida. You get hurt in an accident or an incident through no fault of your own. What do you do? You should call the Miramar personal injury lawyers of the Wolfson Law Firm. We offer you and your family complete personal injury representation. You can reach us by phone, Skype or text. We will come to you or you can meet with us at our Miami personal injury office or by appointment at our Fort Lauderdale office. All you have to do is call us at (305) 285-1115 or toll free at 1-855-982-2067 for free no obligation consultation today. Our South Florida personal injury attorneys provide all of our clients with professional, aggressive and responsive legal representation for all kinds of injury and negligent claims. Our client’s cases are handled with a contingency fee agreement as provided by Florida law. A contingency fee contract simply means you will never owe a fee unless and until you make a recovery. In specific kinds of cases, the insurance company can be made to pay your attorney fee so that you are able to keep all the benefits after costs expended. If you have any kind of question after your Miramar accident call us at 1-855-982-2067. Your call will never obligate you and is always completely confidential. Do whatever you have to do to makes sure that you get the justice that you and your family deserve after your Miramar accident. Our Miramar personal injury attorneys help the good people of the communities and neighborhoods of South Florida including Hollywood, Dania Beach, Pembroke Pines, Sunrise, Wilton Manors, unincorporated Broward County, Coral Springs, Fort Lauderdale, Pompano Beach, Southwest Ranches, Plantation, Cooper City, Deerfield Beach, Weston, Tamarac, Parkland, Hallandale Beach, Margate and Davie.